Brad Compere loves spending time with his family and loves the mountains. After graduating from law school, he spent a year in Colorado tending bar, waiting tables, skiing, hiking, biking, fishing and experiencing life in the outdoors. He gets back to the mountains with his family every chance he can get. 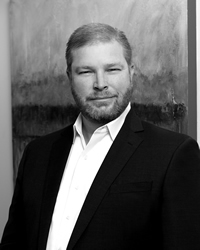 Brad has been a Texas attorney since 2000, specializing in real estate transactions. In January 2014, he founded Capstone Title and Compere & Gorman PLLC. 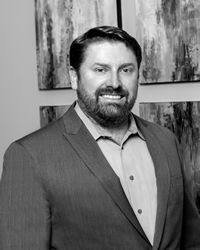 With both Capstone Title and Compere & Gorman PLLC, Brad and his team provide an exceptional level of expertise and a unique perspective to residential and commercial real estate transactions in Austin, Central Texas, and other markets throughout the state. Brad earned a B.A. in English from the University of Texas in 1997 and a J.D. from St. Mary’s University School of Law in 2000. He is actively involved with the Seton Fund’s “Fifty” Board, Partnerships for Children, Austin Pathways, EO Austin and the Tejas Vaqueros. 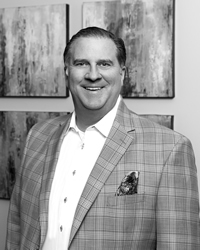 Billy Mullens is a native of Austin, Texas and has worked in and around Central Texas real estate since the early 1990s. He has practiced law since 2002, serving as an attorney for the Texas General Land Office, where he represented the GLO and the Permanent School Fund in real estate matters, including acquisitions and dispositions of commercial and agricultural properties, leases, easements, land surveying and boundary issues, and inter-governmental affairs. Billy also served as the Patent Clerk for the State of Texas, being responsible for the issuance of land patents on sovereign lands sold by the GLO. He has also worked for a land surveying company, a boutique real estate law firm, an international telecommunications company, and a state district judge. Billy earned his undergraduate degree in Political Science from Southwest Texas State University in 1997 and his law degree from St. Mary’s University School of Law in 2000. Billy is a supporter of the Leukemia and Lymphoma Society, Habitat for Humanity, and Austin Pathways. In his free time, he enjoys camping, traveling, and playing guitar. Will Fair is the chairman of Home Abstract and Title Company. He has led the 150-year-old company since 1984 and, under his direction, it has grown to provide a comprehensive array of real estate title insurance and closing services with two locations in Central Texas. In addition to being a partner in numerous real estate holdings throughout Texas, Mr. Fair serves as a director for several companies. He is a director of Independent Bank Group, Inc., (NASDAQ:IBTX), a community-focused commercial lending institution with 75 banking offices in Texas and Colorado. He serves as the chairman of the compensation committee for the McKinney, Texas-based corporation. Additionally, Mr. Fair is a director with Capstone Title, a provider of commercial and real estate closing services in Austin, Texas, and Capstone Mechanical, a mechanical, plumbing, and automation systems provider in Central Texas. Mr. Fair generously provides support to many community organizations and has served in several leadership roles. Currently, he is chairman of Hillcrest Health Systems and is a member of the Greater Waco Chamber of Commerce board of directors. He and his family are active members of First Baptist Church Woodway. As a fourth-generation graduate, Mr. Fair earned a BBA in real estate and economics from Baylor University in 1984. He and his wife, Carolyn, have two daughters, Mary Margaret and Georgia, and reside in McGregor, Texas. An avid outdoorsman, he enjoys fly-fishing and snow skiing and has earned both his merchant mariner’s and pilot’s licenses. 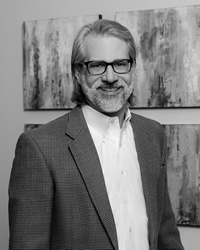 David Busch began his career in the Title Industry with Home Abstract and Title Company in Waco, Texas in 1991 while attending Baylor University. He graduated with a Bachelors of Business Administration in Accounting and Management Information Systems in December 1993. He currently serves as the President and Chief Operating Officer for Home Abstract and Title Company. During his tenure in the Title Industry, he has served on several committees tasked with developing short term and long term strategy for various industry leading technologies that have been brought to the market. He is currently a member of the Agency Services Board of Advisors for Stewart Title Guaranty Company (NYSE:STC). David’s philosophy on business is to create a compassionate organization which recruits and inspires the best professionals in the industry, and to strive for excellence in the market by fully utilizing state-of-the-art technologies and industry practices to provide a unique customer experience. 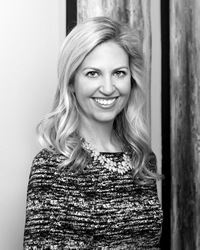 Cassie Sunderland began her career in the title industry in Houston, TX, working in the highest producing residential office of the largest Fortune 500 title insurance company. 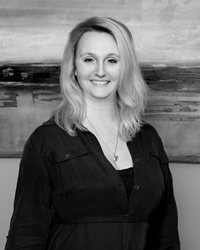 Prior to title, Cassie worked in the mortgage industry as a loan processor for many years. Her background in mortgage allows her to bring a unique set of skills to assist her clients in all aspects of purchasing/selling a home. She brings attention to detail, excellent customer service skills and compassion for others to the Capstone team. Cassie was born and raised in Santa Rosa, CA and graduated with a Bachelors in Business Administration and HR from California State University Chico in 2008. Cassie moved from Houston to Austin in late 2016 and has made Lakeway her new home. Outside of the office, Cassie enjoys spending time with her husband Erik and their two cats Pooper and Freddy, reading a good book, swimming or trying out a new recipes in her kitchen. Marissa Graham, a native Texan, grew up in Alvin just south of Houston. Marissa was a high School athlete in basketball, track, and volleyball. Marissa comes from a military family and has 4 older brothers. She loves the water and is an avid kayaker, swimmer, hiker and loves spending time on the lakes surrounding Austin. Belinda Zapata is an Escrow Officer, and also assists our Vice President and Commercial Escrow Officer Billy Mullens. 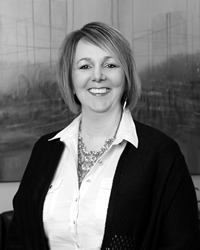 She brings her attention to detail and customer service to Capstone, as well as her wealth of knowledge in commercial and real estate transactions, having worked 16 years in the title industry. Belinda grew up in Dripping Spring and currently lives there with her husband and two children. She's a proud grandmother to two adorable grandchildren, and enjoys spending quality time with them when she's not working. She enjoys traveling whenever she can, especially to places with beaches. 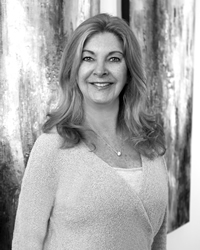 Kathy Moore has been in the real estate industry for over twenty years, having worked as a real estate agent for twelve years and now having worked in title industry since 2010. She is extremely detail-oriented and enjoys working with her team members. Customer service is a high priority for her, along with helping others throughout their transactions and providing an excellent experience for clients. Born in New York state, Kathy grew up with a family of six children in Clear Lake City, Texas (by Nasa). She lived in California for twelve years, before moving back to Lakeway, Texas in 1997, where she continues to reside today. In her spare time she enjoys spending time with her son Alex, camping with family and friends, hiking, Pilates, listening to local music, and traveling. 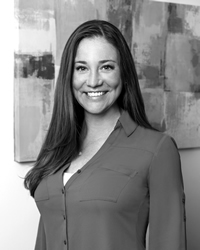 Amber Ewell began her career in the title industry in late 2011 after moving to Austin from Des Moines, Iowa, where she worked in the mortgage industry as a loan servicing specialist and underwriter for Wells Fargo. With a degree in finance and an appreciation for numbers, she quickly excelled at handling the disbursement of real estate transactions. Over the past few years Amber has worked with a diverse portfolio of real estate clients on a variety of deals ranging from commercial properties to interim construction deals for home builders. Outside of the office Amber enjoys spending time with her husband Scott, golden retriever Asher, and their amazing group of family and friends. Both Amber and Scott serve in the Young Marrieds ministry at Hill Country Bible Church and co-lead a small group. She is also passionate about nutrition, fitness, and all things design. On weekends you can often find her at a local flea market or in her garage working on a home project. 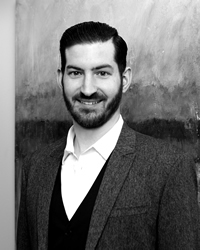 Gerry Checky brings 15 years of experience in the title industry. 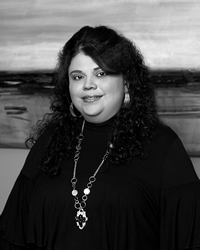 Before moving to Austin in 2016, she worked as an Escrow Assistant and Title Curative Assistant in the Dallas/Ft. Worth area. During that time she worked for Bank of America as Title Curative and managed their code violation department for all of the United States. She enjoys spending time with her family and her dogs. She loves the outdoors, attending country concerts and two-stepping! Tish Pietsch blends many years of experience from a wide range of leadership and management roles to add value to Capstone Title as an Escrow assistant. Tish started in the title business shortly after earning her degree from Southwest Texas State University, and has continued to develop her skills through several professional and charitable volunteer positions ever since. Tish is happy to join Capstone where she can apply her attention to detail and compassion to serve others in fulfilling their desired needs and goals. Tish has lived in Austin since 1985. In her leisurely time, you may find her hiking the Barton Creek greenbelt, enjoying a step aerobics class, or grilling out with family and friends. She especially enjoys her time with her husband Duane and three children, Grayson, Caden and Brylie. She considers her faith one of her greatest attributes and is very involved with her church family as well. Colby Bodoin brings exemplary customer service, a passion for business operations and management experience to the Capstone team. Before joining Capstone Title, he operated Golden Eagle Energy, which he founded in 2009, where he specialized in title searches and lease acquisitions for major oil and gas exploration companies in Louisiana and Texas. Colby grew up in Lafayette, Louisiana the heart of Cajun country. He moved to Texas in 2014 and resides in Lakeway, where he can best enjoy his favorite pastimes of fishing and hanging out at the lake. Being an avid sports fan and an outdoorsman, he also loves to hit the hiking trail, cheer on his favorite sports teams on gameday, and throw outdoor cookouts where he can cook authentic Cajun food for his friends and family. 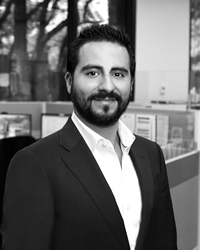 Jose Chavez began his career in the title industry in 2008, where he specialized in title searches and abstracting for some of the top oil and gas exploration companies throughout East Texas. He has built his knowledge and experience by working in some of the country’s major producing areas in Texas, Louisiana, Oklahoma, Kansas and North Dakota. His past experience working with landowners and clients provides him with a solid understanding of what it takes to bring excellent customer service to each transaction. When away from the office, Jose enjoys spending time with his son Nicholas and daughter Josephine. The three of them enjoy spending time outdoors and visiting local music spots. 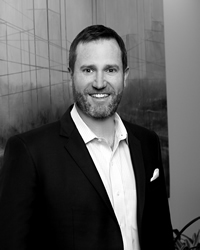 Matt Whigham brings over 10 years of experience working in the Oil and Gas industry. He was born and raised in Colorado and attended Fort Lewis College in Durango where he earned a BA in Business Administration. He has Title experience across the western United States and is excited to be a part of the Capstone team. In his free Time, Matt enjoys spending his time in nature. Basketball and Snowboarding are two of his favorite hobbies. He also loves taking his two dogs to the river. Brittany Campos began her career in the title industry in early 2018 after moving to Austin from the Dallas area. She has spent the past 10 years in the restaurant industry and is eager to get her feet into the title industry. She brings to the company excellent customer service, organization, and a passion for helping people. Brittany enjoys going to country concerts, country dancing, seeing what Austin has to offer, and spending time with her Miniature Schnauzer Shelby. Eddie Rodriguez has served in the Texas House of Representatives for over 10 years, representing South Austin, East Austin and Southeast Travis County. Eddie studied at St. Mary’s University in San Antonio before attending The University of Texas at Austin, where he earned a B.A. in Government in 1995. He earned his law degree in 2008 from The University of Texas School of Law. Eddie has owned and operated a real estate development consultancy since 2010, assisting clients with real estate issues in and around Central Texas. He serves on the boards of Austin Habitat for Humanity, Urban Roots, the Alliance for Public Transportation and the Economic Growth Business Incubator. Eddie co-chairs the Citizen Panel on Sustainable Development established to look into attracting foreign investment for the creation of jobs through sustainable development projects. In his free time, Eddie enjoys spending time with his wife Christine, son Jack, and daughter Sophie. He is an avid runner and foodie and can often be seen on the trail or at local farm-to-table restaurants. Richard Ethridge has an extensive list of clients in the commercial arena, but also enjoys working with his residential agents. Richard is always focused on what is best for the client and will go above and beyond to make a transaction go as smooth as possible for everyone involved. With his superior knowledge, communication skills, compassion, and experience in the title industry, he knows how to bring each transaction to a successful close. 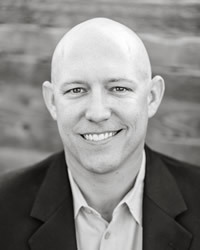 Richard has been in Austin since 1995 and in the Austin real estate industry since 2006. Before entering into the real estate field, Richard was a PGA golf professional working for the Harvey Penick Academy and Troon Golf Management Company. He considers himself a true southern gentleman, having grown up in Louisiana and graduated from Ole Miss. He is an avid outdoorsman who loves to fish the Texas coast, plays golf with his clients and friends, and regularly participates in local charity functions. He’s passionate about spending time with his daughters, taking them to a variety of music venues and traveling to destinations. 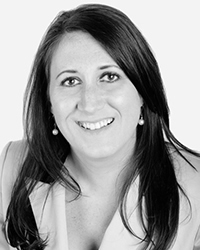 Clari McGougan has 12 years’ experience in residential and new home sales. She started her real estate career in 2007 and is licensed in California, Pennsylvania and Texas which she now calls home. She has extensive knowledge of the real estate industry and loves helping people. 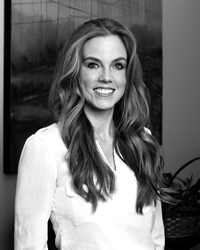 Clari grew up in Colorado Springs and has her MBA as well as a Bachelor’s degree in Business Management. She received the nationally recognized Graduate REALTOR Institute (GRI) designation and is a Certified Negotiation Expert (CNE). In her free time, she loves spending time with her family and friends, running half-marathons and is a certified Texas foodie. A native Texan, Leslie Mullen Odom was born and raised in Abilene. She attended the University of Oklahoma, earning a BA in Education with honors. After meeting her husband Mark Odom she moved to Austin to raise a family that now includes two perfect boys, Charlie and Harris. It was after her children arrived that Leslie decided to devote her time to charitable causes. In addition to work with the boy’s schools, she volunteers and / or serves on the board for Pop Up Birthday, Dell Children’s Trust, and is currently the Forest Trail Elementary School Booster Club President and Chair Elect for the Dell Children's Trust. In 2016 Leslie was named Westlake Chamber of Commerce “Hero of the Year” for all of her volunteer efforts in the community. Chrissy Compere is a native of south Louisiana, but has called Austin home since attending the University of Texas from 1997 -2001, where she graduated with a degree in Public Relations. She loves meeting new people and building strong relationships. Family is a top priority for Chrissy. She and her husband Brad have been married since 2007 and have two beautiful children, Dylan and Sadie Belle. Chrissy can often be found with her family at the local park, attending barre classes, trying new restaurants or catching up with old friends. 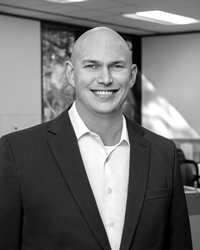 Tim McGee has lived in Austin since 2002 and joined the Capstone team in November 2014. 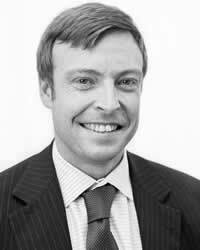 Tim was in the Mortgage Business as a Loan Officer during 2006-2009 working both for a Mortgage Broker and Banker. Before joining the team, Capstone Title was a client of Tim's company McGee Technologies and he continues to maintain Capstone's website. Tim graduated from TCU with a B.S. in Economics and Computer Science minor. Before heading to Texas to attend TCU, Tim grew up in Kansas City before his family moved to Denver Colorado. Tim enjoys the lake, Austin's famous music scene, snowboarding in Colorado, and volunteering at his church and in the community. 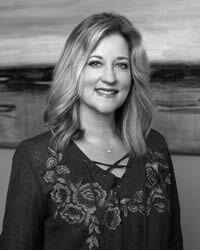 Leigh Richards began her career in the title industry specializing in business development over 4 years ago in Austin, Texas. 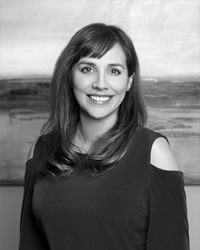 She graduated from the University of Texas in 1996, and has since spent the bulk of her time in Austin, with additional time spent in both the San Antonio and Dallas markets. Leigh strives to provide exceptional customer service and communication while assisting her clients with their transactions from open to close. When not assisting her real estate clients, you can find Leigh volunteering with Casis Elementary School, the Junior League of Austin, the American Cancer Society, and Kappa Kappa Gamma Alumnae Board. Additionally, she enjoys spending time with her husband, Ben and their daughter, Mollie. 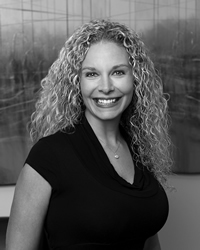 Sara Foskitt is both an experienced real estate lawyer and a real estate broker. She has a B.S from Northern Illinois University and a J.D. from DePaul University School of Law. She is a native of Illinois, but moved to Austin to practice law in 2002 and has adopted it as her hometown. Sara is a graduate of the Leadership Austin 2014 Essential program and was a finalist for the Legal category of the Austin Under 40 Award. 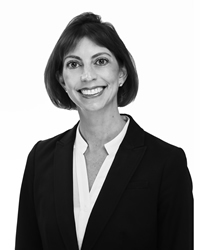 She is a Fellow of the Texas Bar Foundation, and served on the boards of the Austin Bar Association, Austin Young Lawyers Association, and the Lawyer Referral Service of Central Texas. She is a former staff attorney for the Honorable Darlene Byrne, Judge of the 126th District Court of Travis County. Sara lives in the Zilker neighborhood and enjoys running on the Lady Bird Lake trails. Dave Floyd is an experienced business owner and lawyer. 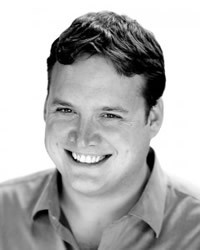 Dave grew up in the Barton Hills neighborhood and graduated from Austin High School before getting a B.A. at the University of Texas at Austin. He also has a J.D. from Washington and Lee University School of Law. He has been active in many young professional and non‐profit groups, including the Young Mens’ Business League and Habitat for Humanity’s young professional group. Dave is a graduate of the Leadership Austin 2008 Emerge and 2010 Essential programs, a member of the Zilker Neighborhood Association board, and was a candidate for Austin City Council in 2014. Dave enjoys cycling, photography, and hiking (especially in the Barton Creek Greenbelt). 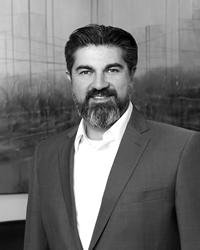 Johnny has over 14 years of experience in the fields of business and real estate law. He specializes in preparing real estate loan documents and handling title insurance closings and has prepared documents for and closed in excess of 400 SBA "504" Loans, SBA 7(a), residential and commercial loan transactions. A native (ok, since '92) Austinite, Johnny graduated from the University of Texas at Austin, where he was a member of the Sigma Phi Epsilon Fraternity and a walk-on member of the Men's Golf Team. After graduating with his BBA-Finance degree Johnny remained in Austin for a year while he worked in the financial services industry during the 99-2000 "dot-com boom" (and bust). After the brief stint day-trading Amazon stock Johnny attended the James E. Rogers College of Law at the University of Arizona in Tucson, Arizona, graduating in May 2004. In Tucson he met his future wife Tiffany and they live in the West Lake Hills area of Austin with their four young, crazy and (usually) happy kids. When he's not working Johnny enjoys playing golf, cooking, supporting Longhorn sports and being an active member of the community! Pat attended the University of Texas at Austin, where he studied Government and Spanish, graduating with high honors. He attended the Indiana Maurer University School of Law on a full tuition merit based scholarship and was a visiting scholar at the University of Texas School of Law. He graduated law school in only 2 ½ years all while volunteering for various organizations and causes including providing free legal services to low-income communities needing Immigration and Social security disabilities. Pat speaks English and Spanish, and is an active volunteer and participant in the Latino community, at home and abroad. 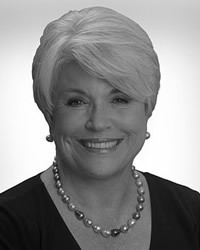 Ms. Crowley is a sole practitioner with Beryl P. Crowley, Attorney & Counselor at Law in Austin, where she has been practicing since 1974. Her 46-year career has encompassed a broad and deep range of professional values and experience. She has excelled and been publicly recognized in Austin and in Texas for her leadership abilities. She is a powerful advocate and exemplar, as well as a leader where she has experience as a Partner, Shareholder, Chairman, President, Trustee, Director and Executive Director, Mentor (in addition to mother and grandmother) and knows firsthand and intimately the issues that surround such positions of leadership. She looks forward to bringing her executive, administrative, community, advocacy, legal and governance experience to the next challenge. Please attach resume, and include position applying for and contact information in email.